Watch the new Demi Lovato video – Heart Attack! We’ve been waiting ages for this new Demi Lovato video and now it’s finally here! 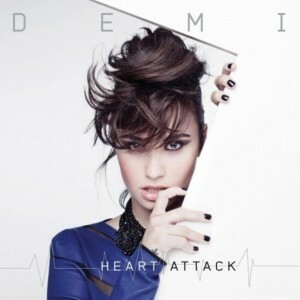 It’s for Demi’s latest tune ‘Heart Attack’ and it looks awesome. (Don’t worry, we don’t understand the black hand thing either). We normally love a splash of colour at Fun Kids but the black and white thing looks very cool. What type of video do you prefer? A colourful one or a cool black and white one? Let us know in the comment box below please! The tune is officially out on 28th April. You can pre-order ‘Heart Attack’ right now though! Just click here to get it! You can also hear it on Fun Kids. Tune in on DAB Digital Radio in London and online across the UK! Click here to listen!